The Updatable WebView on Android 5.0 Lollipop - what is it and why should you care? Last week, Google released Android 5.0, code named Lollipop. It's the largest and most ambitious release of their mobile OS. One of the new features is called Updatable WebView and it's particularly interesting to us because we develop lots of hybrid apps. The reason why we develop apps that way is that we get to write our code only once, and run it on various mobile and desktop platforms. However, native apps usually perform better and can be tested more easily. So we need to balance between these pros and cons when choosing a development strategy for a new project. One of the problems with the hybrid approach is that, until now, the WebView component couldn't compete with a modern mobile browser in terms of features and performance. WebView is offered as an internal component of the mobile OS itself, meaning that updates are only possible when the device's actual OS is updated. 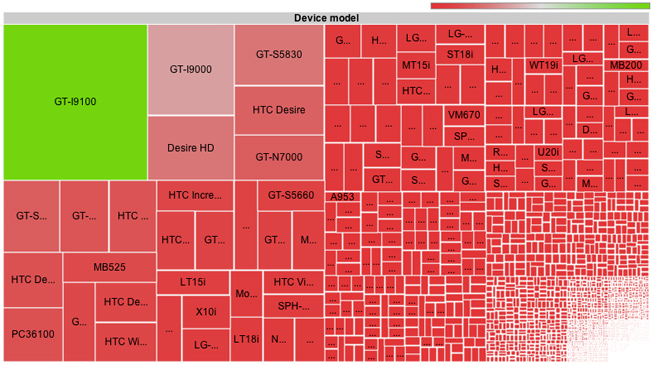 The main problem is the fragmentation of the Android mobile OS. There are many different vendors creating their own versions of Android and often changing the way internal components work. This makes the hybrid development process more difficult because we have to carefully design and test our apps to run in various environments. WebView is now updatable... What's so special about it? Developing hybrid apps for Android devices is now much easier and more satisfactory. And we still need to support older versions of Android in our hybrid apps, sometimes all the way to Gingerbread. The situation will probably change soon and this is really not that much of an issue in the long run. But there's still the problem with Android fragmentation and many different device manufacturers "improving" their own versions of Android. They can (and probably will) change the WebView and adjust it to their own needs. So I guess we'll keep on fighting WebView device inconsistencies, but at least to a lesser extent. Is Apple also embracing hybrid development? Apple has also included some interesting WebView updates in their new iOS 8 release. They've created another component (called WKWebView) whose performance will be equivalent to the performance of Safari, the native browser on iOS. To put this into perspective – WKWebView could be up to three times faster than a regular WebView iOS component (called UIWebView). But don't get too excited, WKWebView is still not ready for running modern web apps. To summarize, although many of these features are not ready to be used in real-world scenarios, we can notice that things are getting much better in the field of hybrid app development. Hungry for more Android-related news? Subscribe to our weekly #AndroidSweets newsletter. You know ViaMichelin? We've built a better one.